I feel like it was yesterday that Nora was born. But, somehow, my tiny little rainbow baby is this vibrant, bouncy, smart, independent 2.5-year-old. 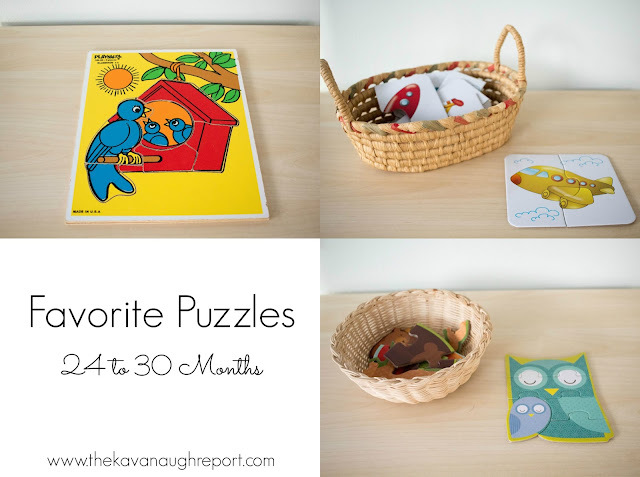 And with this realization that she is no longer a little baby, I realized that it's been awhile since I've shared what she's been interested in over the past several months. You may notice that many of these products have been featured before. That's the beautiful thing about quality, open ended Montessori friendly materials they really do last. With these toys, only a select few were out at any given time. Maybe 6 to 10 depending on the other Montessori work I had made. 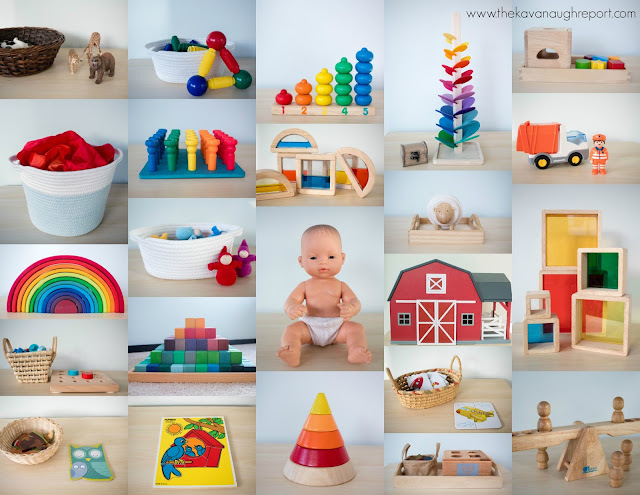 During this time, I was pregnant with Gus, so I think I relied more on toys (as opposed to making some work for her ) than I had in the past. Also, there may have been other things she used during this time, but these were the highlights, and the things she really did love. These Montessori friendly toys have been well loved for many months. 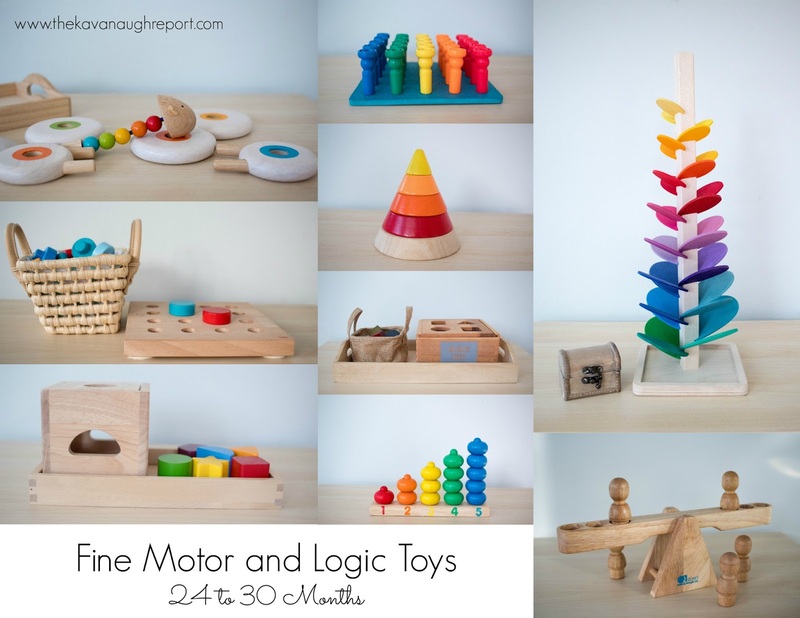 These are Montessori friendly for many reasons including their beauty, they isolate concepts, many are self correcting and they all help to promote independence and concentration while building fine motor skills. Lacing Sheep -- I love this one! 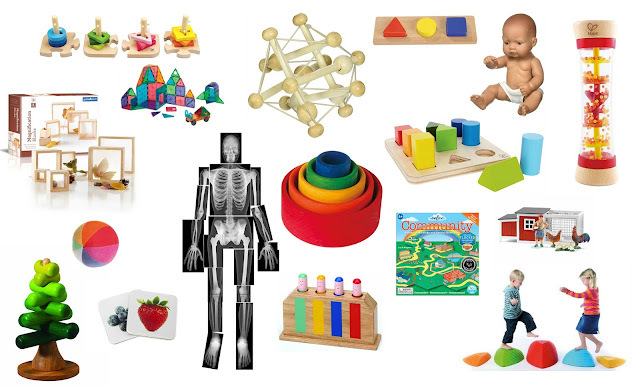 These are materials that allow a child to stretch his or her imagination. Blocks and open ended toys allow for kids to work on so many skills as they create. 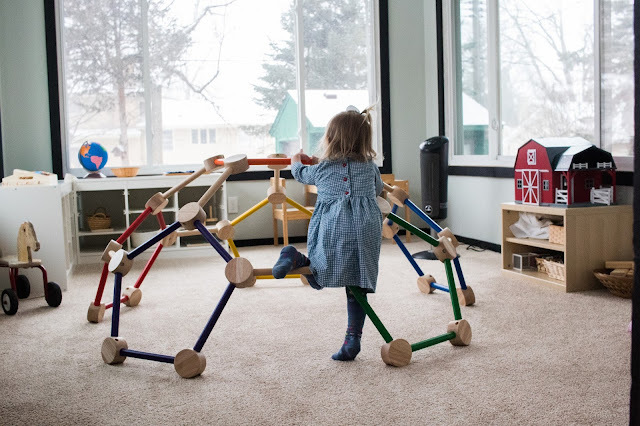 While I wouldn't expect to see these types of materials in most Montessori classrooms, they are a perfect addition for a home. 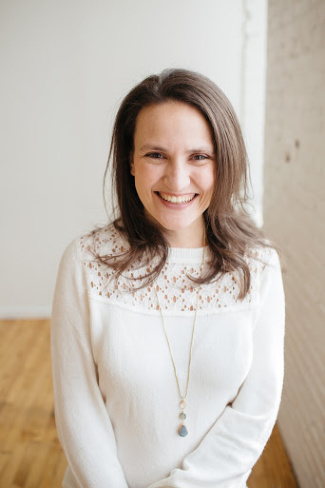 It's a common misconception that Montessori does not allow pretend play. 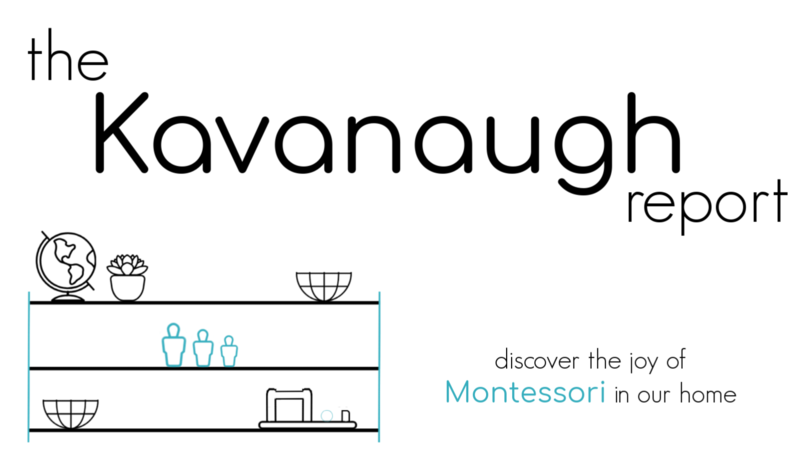 However, you'll find pretend play in Montessori environments everywhere! 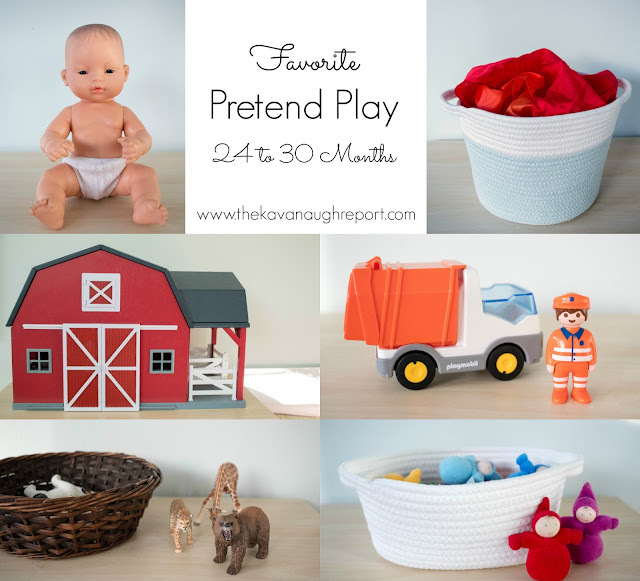 We try to stick to reality based pretend play and let the child lead in how that play looks. Nora also went through a huge puzzle phase during this time. You can read more about her puzzles, here and here. And, that's it! Just some favorites, many of which still grace our shelves now. 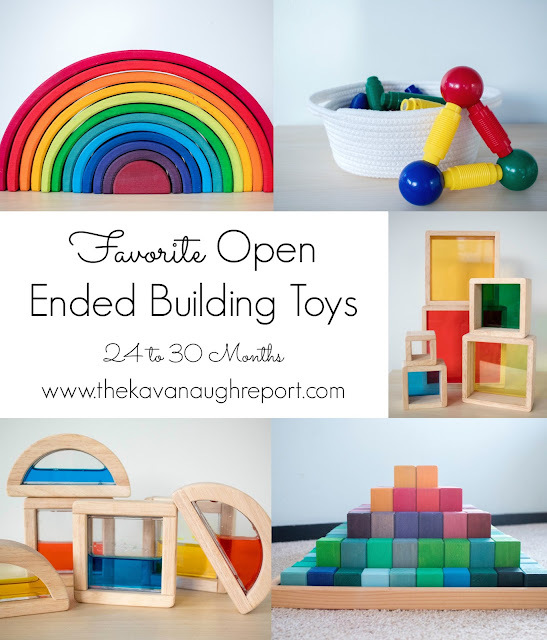 What did your children enjoy between 2-years-old and 2.5-years-old? Any of these toys a hit? Thinking about getting my almost 2.5 yo the baby. Did your LO dress/diaper her baby? Mine tries to on a stuffed animal. Hoping this baby would fit in small diapers/clothes. Thanks! This post is great! The photos are awesome and the information is very helpful. Thank you!